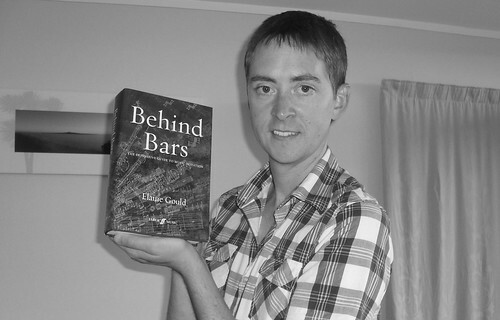 A few days ago, "Behind Bars", the new book by Elaine Gould, arrived in the post. Have I ever been so happy for a book to arrive? Probably not. Have I had a spring in my step ever since? Possibly. Have I taken it to bed to read most nights? Unashamedly yes! Did my heart warm when I read a few lines of the index? Indeed. Is my excitement justified? Absolutely. 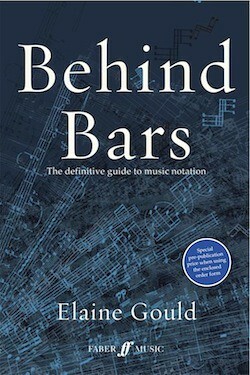 "Behind Bars is the indispensable reference book for composers, arrangers, teachers and students of composition, editors, and music processors. In the most thorough and painstakingly researched book to be published since the 1980s ... it has never been more important for musicians to have ready access to principles of best practice in this dynamic field, and this timely book will support the endeavours of software users and devotees of hand-copying alike ... Supported by 1,500 music examples of published scores from Bach to Xenakis, this seminal and all-encompassing guide encourages new standards of excellence and accuracy." It has been thirty years since the last major book on music notation. Practices have changed hugely since then and so the need for such a book is well overdue. Elaine talks about the development of the book, which started in 1990, in this great interview on the Sibelius Blog. The book is divided in to three sections 1) general conventions, 2) idiomatic notation, and 3) layout and presentation. My favourite parts are probably some of the insights in the idiomatic writing sections, such as writing for the classical guitar. Also, the sections on notating electroacoustic music and on freedom and choice - cadenzas, ad lib. passages, independent repetition and so on - as until now there has been no authority on these areas. The cross-referencing is super effective and seamlessly done, and because it is so concise I know it will be the go-to book for everything I do for many years to come. When typesetting and preparing music there are hundreds, often thousands, of decisions that are made. 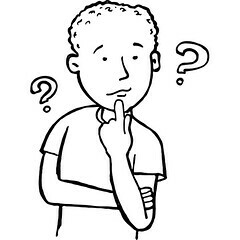 Taking time to think about each one and not having a definitive answer from today's music prep standards can be very time consuming. The confidence that each of the 704 pages will provide is priceless. If you are interested in reading further, see the promotional brochure here (PDF), the website here or the article I mentioned above here. Or, just order your copy! Well I often get asked what is the difference between Sibelius and Finale, which one is better and so on. So I thought I'd post a blog to put my views down and also to share some links which I think are just wonderful. Basically, my view is that Sibelius is a musician's program. It is intuitive and works as you'd want it to work. Finale is a programmer's program, it is powerful like Sibelius, but doesn't have the same ease of use. Despite an odd but common belief, as a Sibelius user there is nothing I have not found that I am able to do. As a copyist I tend to work the program hard, and so far to great success. There are of course a few features that differ, these do tend to be in favour of Sibelius. In the past Sibelius has been dominant in Australasia, Europe and the UK, and Finale was dominant in the Americas. This is changing, with Sibelius becoming very popular in America and Finale working it's way into the UK. Some publishers and copying houses swear by Sibelius, others with Finale, so perhaps it is becoming a fair share between the two companies. I won't get too deep into specifics because Daniel Spreadbury, the senior product manager for Sibelius, has a superb blog which answers all possible questions on this topic. A recent entry covers the specifics on this topic, where Sibelius leads, it's unique features, and why it's the copyists' choice, engravers' choice and teachers' choice. What has brought Sibelius further into dominance as the world's leading notation program, is their recently released Sibelius 6. Another great blog is Daniel's two-part introduction to this new version. In part one he talks about the story behind Sibelius 6. In part two he describes how they approached the development of their three biggest goals, Classroom Control, Versions, and their Keyboard and Fretboard windows. 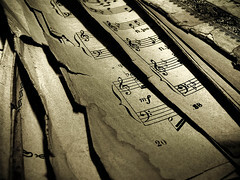 Also related to this is a great new blog by Kenneth Froelich who is the Assistant Professor in Music Composition at California State University, Fresno. 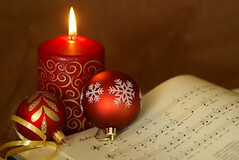 It is about composing with music software. He puts it that "as both a composer and a teacher of music composition, I have seen many of the missteps, pratfalls, and outright disasters that tend to come about from writing music on the computer. However, through my own personal experience, as well as working directly with my students, I have come up with several strategies and pedagogical approaches to help young composers recognize and overcome the traps that tend to hinder successful "computer composition"." It will be an interesting blog to keep an eye on. I hope this is interesting reading for all of you. Enjoy. 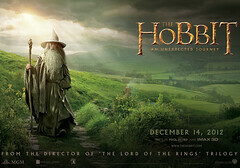 Hey everyone, another NZ events page is eventfinder.co.nz. It stacks up against NZLive really well for browsing through. But the catch is that to list events, or to monitor events, you have to pay. There is a free option but you can only list OR monitor ONE event at a time. NZLive seems to do everything it can plus a bit more and it's free. Eventfinder have been around since the beginning of the year, so it will be interesting to see if/what they introduce to have that something different against NZLive. 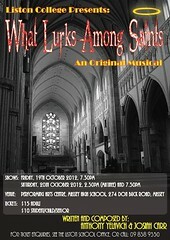 Anyway it IS a great site and definitely worth a look if you're on the hunt for events. If you've been to one or either site, let me know what you think. Check it out www.eventfinder.co.nz. 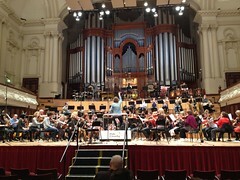 Well tonight I went to the 2006 NYO concert (NZ National Youth Orchestra). The first of three concerts, the others in Auckland and Christchurch. It was also the premiere of Claire Cowan's new work "Trains of Thinking" (see her site here). Anyway, WOW, concert was fantastic. The highlight by far was Shostakovich's Symphony No.10. It was really well played. The strings this year are incredibly tight and are HUGE. I think I counted 12 violas. THATS AWESOME. The percussion as well was great - it's a great symphony for the percussion. Anyway Claire's piece was amazing. She's always so original and innovative - absolutely loved the piece. Make sure you visit her site here. Of course afterwards it was fantastic to catch up with everyone from years past.